3501701 FPC1700 HITACHI FPC1700 Crusher. Spare Parts Catalog. Service (workshop) Manual. Operator's Instruction Manual. 3501702 FS165T HITACHI FS165T Crusher. Spare Parts Catalog. Service (workshop) Manual. Operator's Instruction Manual. 3501703 HC1110 HITACHI HC1110 Crusher. Spare Parts Catalog. Service (workshop) Manual. Operator's Instruction Manual. 3501704 HC1410 HITACHI HC1410 Crusher. Spare Parts Catalog. Service (workshop) Manual. Operator's Instruction Manual. 3501705 HC2410 HITACHI HC2410 Crusher. Spare Parts Catalog. Service (workshop) Manual. Operator's Instruction Manual. 3501706 HC2710 HITACHI HC2710 Crusher. Spare Parts Catalog. Service (workshop) Manual. Operator's Instruction Manual. 3501707 HR1200S-5 HITACHI HR1200S-5 Crusher. Spare Parts Catalog. Service (workshop) Manual. Operator's Instruction Manual. 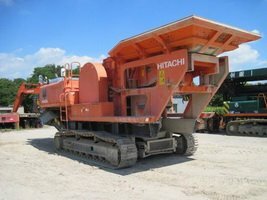 3501708 HR1200SG HITACHI HR1200SG Crusher. Spare Parts Catalog. Service (workshop) Manual. Operator's Instruction Manual. 3501709 HR1200SGM HITACHI HR1200SGM Crusher. Spare Parts Catalog. Service (workshop) Manual. Operator's Instruction Manual. 3501710 HR240G HITACHI HR240G Crusher. Spare Parts Catalog. Service (workshop) Manual. Operator's Instruction Manual. 3501711 HR320 HITACHI HR320 Crusher. Spare Parts Catalog. Service (workshop) Manual. Operator's Instruction Manual. 3501712 HR320G-5 HITACHI HR320G-5 Crusher. Spare Parts Catalog. Service (workshop) Manual. Operator's Instruction Manual. 3501713 HR420 HITACHI HR420 Crusher. Spare Parts Catalog. Service (workshop) Manual. Operator's Instruction Manual. 3501714 HR420G-5 HITACHI HR420G-5 Crusher. Spare Parts Catalog. Service (workshop) Manual. Operator's Instruction Manual. 3501715 HR750SM HITACHI HR750SM Crusher. Spare Parts Catalog. Service (workshop) Manual. Operator's Instruction Manual. 3501716 HR900S-5 HITACHI HR900S-5 Crusher. Spare Parts Catalog. Service (workshop) Manual. Operator's Instruction Manual. 3501717 HR900SM HITACHI HR900SM Crusher. Spare Parts Catalog. Service (workshop) Manual. Operator's Instruction Manual. 3501718 SR2000G HITACHI SR2000G Crusher. Spare Parts Catalog. Service (workshop) Manual. Operator's Instruction Manual. 3501719 SR-G2000 HITACHI SR-G2000 Crusher. Spare Parts Catalog. Service (workshop) Manual. Operator's Instruction Manual. 3501720 SR-P1200 HITACHI SR-P1200 Crusher. Spare Parts Catalog. Service (workshop) Manual. Operator's Instruction Manual. 3501721 SR-P600 HITACHI SR-P600 Crusher. Spare Parts Catalog. Service (workshop) Manual. Operator's Instruction Manual. 3501722 SS200AT HITACHI SS200AT Crusher. Spare Parts Catalog. Service (workshop) Manual. Operator's Instruction Manual. 3501723 VR308 HITACHI VR308 Crusher. Spare Parts Catalog. Service (workshop) Manual. Operator's Instruction Manual. 3501724 VR308-2 HITACHI VR308-2 Crusher. Spare Parts Catalog. Service (workshop) Manual. Operator's Instruction Manual. 3501725 VR408 HITACHI VR408 Crusher. Spare Parts Catalog. Service (workshop) Manual. Operator's Instruction Manual. 3501726 VR408-2 HITACHI VR408-2 Crusher. Spare Parts Catalog. Service (workshop) Manual. Operator's Instruction Manual. 3501727 VR512 HITACHI VR512 Crusher. Spare Parts Catalog. Service (workshop) Manual. Operator's Instruction Manual. 3501728 VR516FS HITACHI VR516FS Crusher. Spare Parts Catalog. Service (workshop) Manual. Operator's Instruction Manual. 3501729 ZR125HC HITACHI ZR125HC Crusher. Spare Parts Catalog. Service (workshop) Manual. Operator's Instruction Manual. 3501730 ZR130HC HITACHI ZR130HC Crusher. Spare Parts Catalog. Service (workshop) Manual. Operator's Instruction Manual. 3501731 ZR240JC HITACHI ZR240JC Crusher. Spare Parts Catalog. Service (workshop) Manual. Operator's Instruction Manual. 3501732 ZR260HC HITACHI ZR260HC Crusher. Spare Parts Catalog. Service (workshop) Manual. Operator's Instruction Manual. 3501733 ZR420JC HITACHI ZR420JC Crusher. Spare Parts Catalog. Service (workshop) Manual. Operator's Instruction Manual. 3501734 ZR600TS HITACHI ZR600TS Crusher. Spare Parts Catalog. Service (workshop) Manual. Operator's Instruction Manual. 3501735 ZR800TS HITACHI ZR800TS Crusher. Spare Parts Catalog. Service (workshop) Manual. Operator's Instruction Manual. 3501736 ZR900TS HITACHI ZR900TS Crusher. Spare Parts Catalog. Service (workshop) Manual. Operator's Instruction Manual. 3501737 ZR950JC HITACHI ZR950JC Crusher. Spare Parts Catalog. Service (workshop) Manual. Operator's Instruction Manual. 3501801 CX500PD HITACHI CX500PD Pile Driver. Spare Parts Catalog. Service (workshop) Manual. Operator's Instruction Manual. 3501802 RX2000 HITACHI RX2000 Pile Driver. Spare Parts Catalog. Service (workshop) Manual. Operator's Instruction Manual. 3501803 RX2000-2 HITACHI RX2000-2 Pile Driver. Spare Parts Catalog. Service (workshop) Manual. Operator's Instruction Manual. 3501804 RX2300 HITACHI RX2300 Pile Driver. Spare Parts Catalog. Service (workshop) Manual. Operator's Instruction Manual. 3501805 RX2300-3 HITACHI RX2300-3 Pile Driver. Spare Parts Catalog. Service (workshop) Manual. Operator's Instruction Manual. 3501806 CX650PTR HITACHI CX650PTR Power Trencher. Spare Parts Catalog. Service (workshop) Manual. Operator's Instruction Manual. 3501807 HE6010B HITACHI HE6010B Earth Drill. Spare Parts Catalog. Service (workshop) Manual. Operator's Instruction Manual. 3501808 TH55-2CR Hitachi TH55-2 Earth Drill. Spare Parts Catalog. Service (workshop) Manual. Operator's Instruction Manual. 3501809 TH55ED Hitachi TH55 Earth Drill. Spare Parts Catalog. Service (workshop) Manual. Operator's Instruction Manual. 3501810 MH5510B Hitachi-Sumitomo MH5510B Earth Drill. Spare Parts Catalog. Service (workshop) Manual. Operator's Instruction Manual.